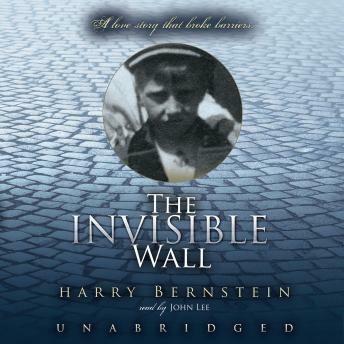 Listen to "The Invisible Wall: A Love Story That Broke Barriers" on your iOS and Android device. This enchanting true story, written when the author was ninety-three, is a moving tale of working-class life, social divide, and forbidden love on the eve of the first World War. The narrow street on which Harry grew up appeared identical to countless other working-class English neighborhoods-except for the invisible wall that ran down the center of the street, dividing the Jewish families on one side from the Christians on the other. The geographical distance may have been yards, but socially, it was miles. Families on either side did not speak or meet. But when Harry's older sister fell for the boy across the street, Harry became a go-between for the lovers, crossing the great divide to hide their secret. When the truth inevitably came out, Harry had to decide, at a very young age, what he believed was morally right.